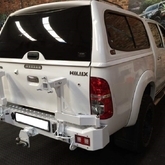 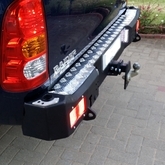 The winch plate for the Fortuner and Hilux allows you to fit a winch behind the standard bumper. 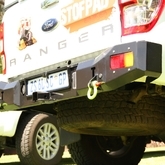 Cost effective alternative to replacement bumpers. 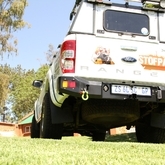 Neat fitment of the winch. 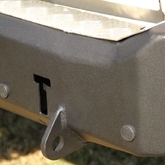 No loss of approach angle. 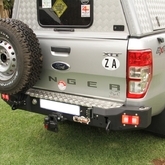 No cutting/grinding/drilling/welding to the vehicle, other than the opening in the plastic bumper. 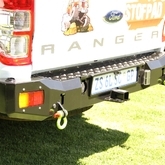 Includes a 4mm protection plate to protect the radiator from winch cable. 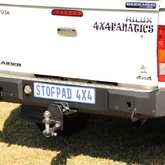 Keep Centre of gravity low. 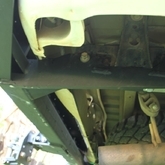 Can fit a front tow bar.